Monday morning flight out of Narita Term 2. Absolutely nothing available from higher end Hibiki, Yama or Hakushu. No sightings of the Chichibu travel retail left either. Tried every store. My buddy scored 8 Yamazaki LEs yesterday. Amazing how quickly the stock changes, must really just come down to luck! No Chichibu unfortunately which is what I was hoping he'd find. Yes, multiple shops and people. You can actually switch terminals airside as well. Blenders Choice: it’s weird because the last place I saw it was somewhere I least expected to see it: the Tokyu Department store in Shibuya. It may have been a one-off, and plus they were restricting sales to holders of their Tokyu credit card, but I was surprised to see it on sale there, after hearing that it was mainly distributed to bars and restaurants. And yes, the price then was the standard 10,800 yen. In other words, Tokyu wants to restrict whisky sales to foreigners, since getting Tokyu JAL Card (or any Japanese credit cards, for that matter) as a foreigner is basically impossible. Really depends on your visa and employment status, which I would imagine is the same in any country about getting a credit card. Department stores usually have their own membership services and cards, and this is one way to offer promotions and discounts and right of first refusal to these customers. Hibiki Blenders Choice whilst not seen much on shelves, is available on Amazon at a small markup, or regional liquor stores online at the standard Y10,000. 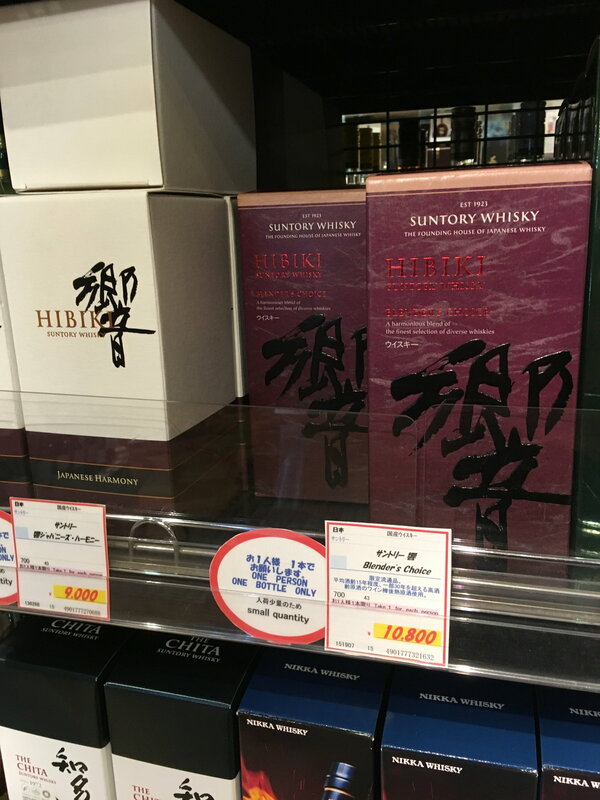 Hibiki Blender's Choice Masters Select at JFK T4 Duty Free today for $90. Not flying international today so no opportunity to purchase. invalyd, james21_h and 7473chad like this. Donki Dotombori still have 8 mini Yama 12’s today but the price is ¥1,980 before tax/50ml *sweats*.. I found a few at Yamaya but "packaged" with a chocolate bar for ¥1,300 yen each. Good Swiss chocolate too so was probably all at normal retail. daizawaguy, thanks again for heads up. Got bottle of Blenders Choice just now. One bottle now left. i got a few bottles at sub1600. i think they bought at the 780 yen shop and have a 10% markup. yeah will do.. I’ve got a few days left here.. going to see what I can find. Might switch hunting strategy if I don’t hit any decent find later today.